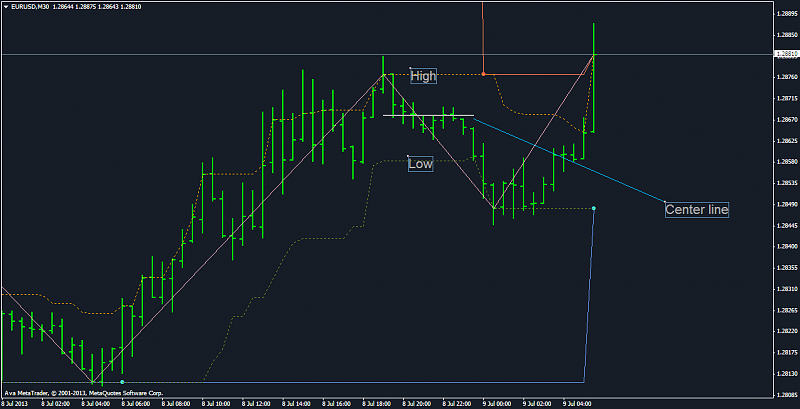 As you know that there are a lot of kinds of ZigZags and ZigZag's strategies. But not all of you know that the ZigZag itself has 2 channels: outside and inside. 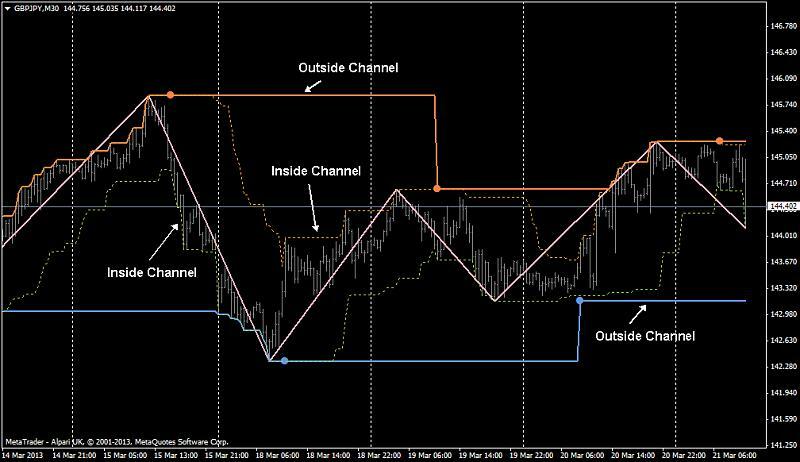 The outside channel can be used as stop loss levels and as profit targets, the inside channel - as trailing stop and for precise entries. So please take a look at the advanced MTF UniZigZagChannel_v1.5 which has both channels plus Buy/Sell signals with advanced Box alerts. Nodp53, secretcode, Alex-162 and 2 others like this. Yes, it is interesting kind of zigzag. Is it possible to add Center line in Inside Channel ? Sorry but there is no possibility to plot a middle of the channel because all 8 external buffers are already used. Please upload the fixed version (v1.6) from the first post of the thread.